It's been seven years since the release of the band's international breakthrough single "Wonderful Life" and their debut album 'Happiness.' Since then the British duo have established themselves as one of the most popular and successful pop acts throughout Europe, scoring top ten albums and numerous hit singles in Germany, Switzerland, Austria, Belgium, Sweden, Ireland, Russia, Poland, Ukraine, Finland, the Netherlands and the UK. 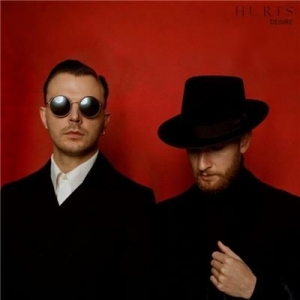 Hurts have also sold 100,000 gig tickets in 2016 alone, making them one of the most successful new British bands of the past decade. News of the band's new album follows the release of their brand new single Beautiful Ones which achieved instant critical acclaim from the likes of NME, i-D, Paper, Attitude, Metro and The Line of Best Fit, to name but a few.